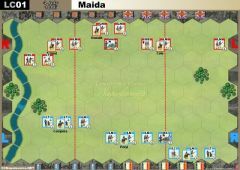 Special Rule: "La Grande Battle"
Expansion 6 - Epic. Minimum requirements? 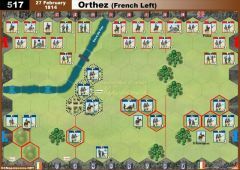 Epic new unit - french conscripts ? Time to try the new Hougoumont scenario, with 6mm models of course! Talavera Base Game Scenario ¿Fordable River? 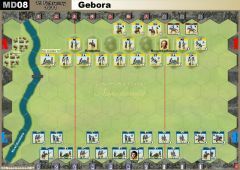 VASSAL Iron Will & Guerilla Counters - How to ? 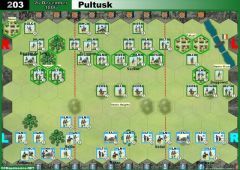 Variants of Official scenarios - how to record..
Are the Prussians better than the Russians? How I can change the image of my avatar? Is it possible to buy replacement cards? Possibility to extract personal statistics from scenario stats? 15mm figures on the game board - pics. Artillery & "Give'em the cold steel"
Which expansion you want in future? My take on C&CN with 6mm miniatures - pictures. 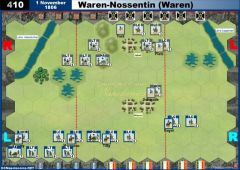 C&C: N scenarios in C3i magazine? EPIC - Are we thinking out of the Wrong Box? 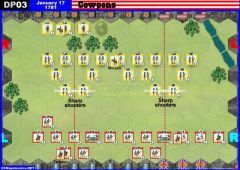 Can a Artillery Reposition card be used if there was no battle? Victory Objective, when banner lost? 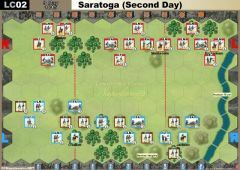 21 December 1808 Sahagun (cavalry action) - 2 x Debelle? 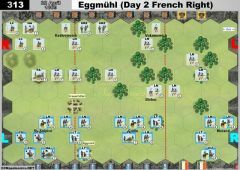 311-22 April 1809(Day 2 Attack on Eggmuhl) Four Grenzer Units? Cavalry Breakthrough Rule To Be Aware Of Perhaps? Does the Tactician Card Sappers only involve the target hex restrictions? Force March and Lt Grenzers? 2 or more Artillery in combined attack? Artilery iin a failed combined arms attack? Austrian Light Infantry - round up or down? Do restrictions apply to Le Grande Manouvre? Fordable brook in Talavera scenario? What does the new black unit symbols represent? Square: beneficial or not beneficial? Could Infantry advance after a Retire & Reform ? 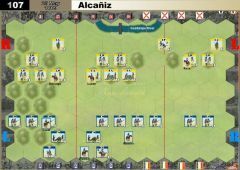 Combinated attack with 2 Artillery units ? New terrain type needed...strongpoints maybe? Resolving Melee Combat Simultaneously and hence no Battle Back, as a House Rule. A little house rule to reflect the British Reverse Slope Tactic. Tacticians cards - starting hand set throughout the game? How to increase units lifetime and game playtime ? Infantry MUST form squares when charged? We don't need no stinkin Banners! Napoleon, His Army and Enemies. The Battle of New Orleans - 8 January, 1815. 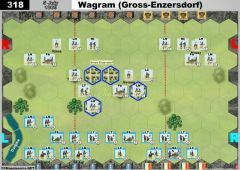 Balanced Game from Prussian Expansion Set? Battle of Raszyn - 19 April 1809. Scenario stats on this site? Waterloo - Fortified Walled Farms? GMT news on C&C:N expansions? anyone available for a simple live - on - VASSAL game? 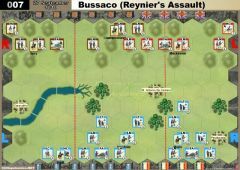 Anybody Fancy Bussaco (Reynier) This Saturday 0930 GMT ? 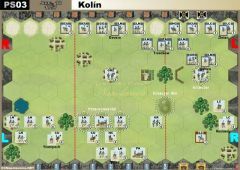 How to play Vassal via email? How to form square in Vassal CCN 2.1? Looking for people to play! Seven Years War - EPIC??!! Opponents wanted in Toronto area.